When in doubt about wearing something great while meeting his parents, saree can save the day. However, it does not mean that you can wear bright, glittering and embellished benarsi sarees. Go with modern yet elegant looking printed or lightly embellished sarees. Masaba Gupta’s collection can be considered. Not just in weddings but also while meeting your BF’s parents, anarkali suits can save the day. Skip all the heavy embellished ones and go with the elegant casual anarkali suits. Do wear a pair of flattering heels. The hot and happening traditional salwar kameez are perfect for that first meeting. 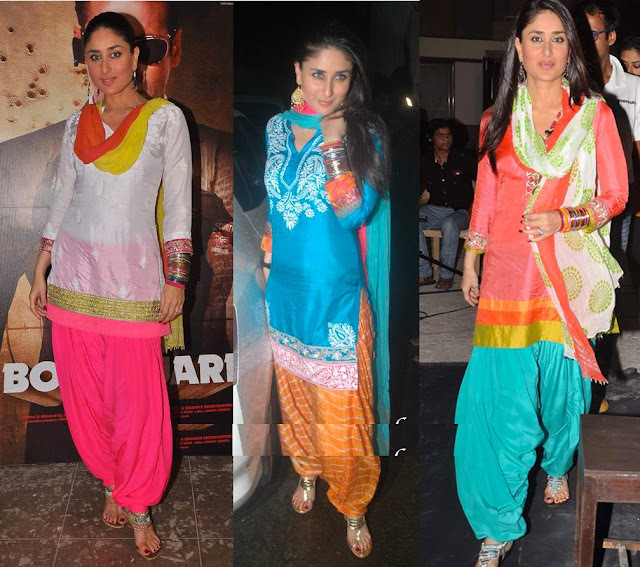 You can wear Patiala salwars with vividly printed dupattas or go with the salwar kameez sets. Take inspiration from celebrities. Be casual with plain kurtis and printed skirts or vice a versa. You can wear tribal jewelry to add chic factor to your apparel. 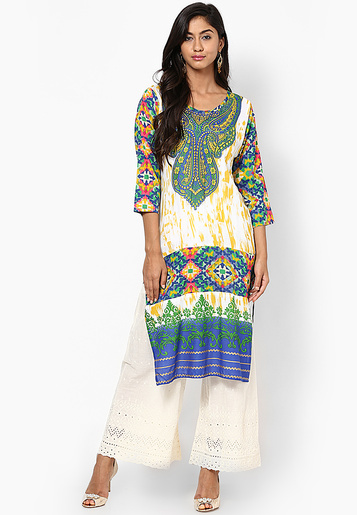 Long and short kurtis with palazzo pants are quite in trend these days. You can wear them with a stylish pair of heels, carry an embellished clutch bag and hoop earrings. Palazzo pants are also good with shirt tops for a chic western look. Skater dresses can bring out the cute side of your personality. They are adorable, flowy and flared, a perfect look for the first meeting. If you have a good height, wear them with chic ballerinas or wear pumps if you are vertically challenged. Here are few more western looks curated just for you! For a Casual Lunch with the Family! Hope you liked all the looks! Do tell me what you will be wearing? You can Buy indian kurtis ,that looks perfect ! !